It’s not Monday and we’re finally back to our original recording schedule of the Engadget HD podcast. You can tune in live at on this Wednesday edition at 5:30PM and be be a part of it. Start by reviewing the list of topics after the break, then participate in the live chat. At just over 7 billion in number, human beings are kind of a big deal. Despite our greatness in numbers, however, there are quite a few other species sharing our little blue dot. Sadly, the one greatest in number isn’t something you see every day or … well, ever, for that matter. And say what you will about obesity in our society, but PBS’ “Life By the Numbers” Digital Short (part of its new “It’s Okay to be Smart” series) argues that human biomass (287 million tons) is nowhere near that of even a single species of krill (500 million tons). Take that, Richard Simmons! See the full video, just below; if it does end up guilting you into weight loss with all that biomass talk, might we direct you towards the Hapifork? While Lucasfilm originally planned to bring Star Wars Episode II and III back to theaters in 3D this fall, it’s just announced that will not happen. In a statement posted on the official site, it says “we will now focus 100 percent of our efforts on Star Wars: Episode VII.” Lucasfilm is now owned by Disney, which just announced last week that J.J. Abrams (director of Star Trek and creator of TV series including Lost and Fringe) would direct the seventh installment, which is scheduled to hit theaters in 2015. 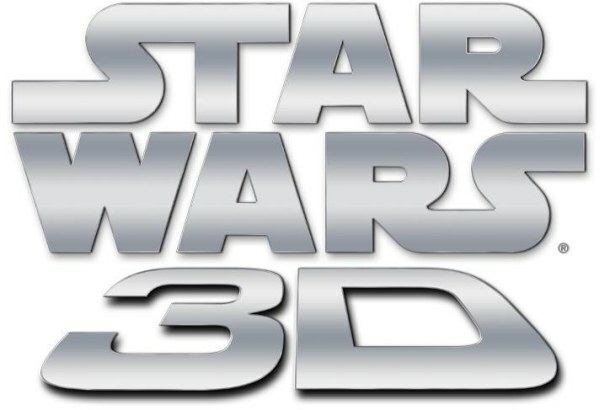 The original trilogy was also reportedly on deck for 3D rerelease, but there’s no word yet whether we’ll see those again before Episode VII, just a promise to post “further information” at a later date. J.J. Abrams will direct Star Wars: Episode VII, the first of a new series of Star Wars films to come from Lucasfilm under the leadership of Kathleen Kennedy. Abrams will be directing and Academy Award-winning writer Michael Arndt will write the screenplay. J.J., his longtime producing partner Bryan Burk, and Bad Robot are on board to produce along with Kathleen Kennedy under the Disney | Lucasfilm banner. Also consulting on the project are Lawrence Kasdan and Simon Kinberg. Kasdan has a long history with Lucasfilm, as screenwriter on The Empire Strikes Back, Raiders of the Lost Ark and Return of the Jedi. Kinberg was writer on Sherlock Holmes and Mr. and Mrs. Smith. Abrams and his production company Bad Robot have a proven track record of blockbuster movies that feature complex action, heartfelt drama, iconic heroes and fantastic production values with such credits as Star Trek, Super 8, Mission: Impossible Ghost Protocol, and this year’s Star Trek Into Darkness. Abrams has worked with Lucasfilm’s preeminent postproduction facilities, Industrial Light & Magic and Skywalker Sound, on all of the feature films he has directed, beginning with Mission: Impossible III. He also created or co-created such acclaimed television series as Felicity, Alias, Lost and Fringe. This entry was posted on January 28, 2013, 5:34 pm and is filed under Mobility. You can follow any responses to this entry through RSS 2.0. Both comments and pings are currently closed.